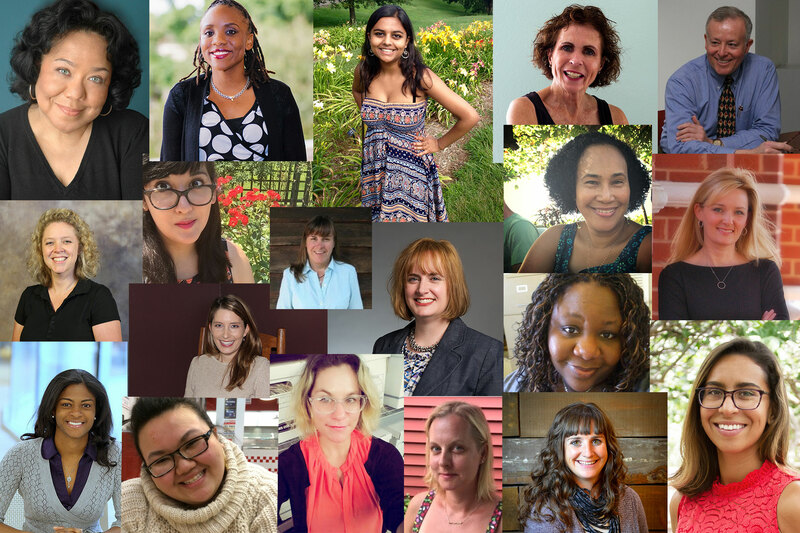 We are delighted to announce the winners of our 2018 Teacher & Librarian Scholarships! Each year we recognize a diverse group of individuals who are making a positive impact on readers in their communities. We hope that participation in our literary community will inspire fresh engagement with literature in schools and libraries around the country. The program received more applications than ever before this year and we are extremely impressed by the great work all of our applicants are doing in schools and libraries around the country. Thank you to all who applied, and congratulations to our winners! Jim Brennan lives, teaches, and writes in the Boston area. He enjoys helping his students at Northern Essex Community College and Quinsigamond Community College improve their reading, writing, and critical thinking skills and sometimes even discover a new favorite writer. He is excited to see some of his own favorite writers at this year’s Seminar, and he is grateful to be a scholarship recipient. 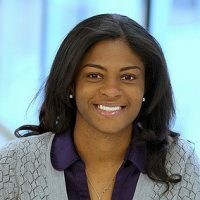 Kimberley Bugg, PhD, is an assistant professor and reference coordinator at New York City College of Technology. She teaches several courses, including Research & Documentation in the Information Age and Learning Places: Understanding the City. Additionally, she offers research support in a range of courses from English 1101 to Current Caribbean Culture. 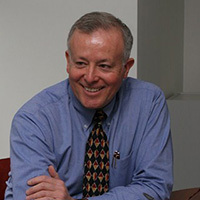 Dana Casper was born in Macon, Georgia, and grew up in Brooklyn. 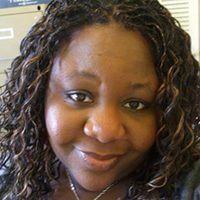 She has a bachelor’s degree in literature from Purchase College and a master’s degree in library science from Valdosta State University. She’s an academic librarian at Middle Georgia State University and a visual artist, poet, and lifelong literature and pop culture nerd. Esperanza Cintrón holds a doctorate degree in English literature from the University of the State of New York at Albany. Her fiction has been published in a number of anthologies, and her books include three collections of poetry: Chocolate City Latina (2005), What Keeps Me Sane (2013), and Visions of a Post-Apocalyptic Sunrise (2014). She lives in downtown Detroit where she teaches writing, literature, and film at Wayne County Community College District. Amy Clark teaches at University of Virginia’s College at Wise, where she is founding director of the Center for Appalachian Studies and the Appalachian Writing Project. Her work has appeared in the New York Times, Salon, Harvard University Press blog, and on NPR. 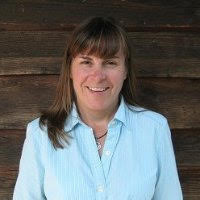 She is the author of two books of nonfiction, most recently Talking Appalachian. Her essay, “The Rocks,” was a notable mention in the The Best American Essays 2016. Sabine Dantus grew up in North Miami. 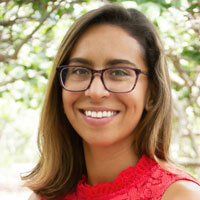 As the outreach librarian at Lynn University Library in Boca Raton, Florida, she promotes the library as the intellectual center of campus through marketing, outreach, programming, events, research help, exhibitions, and publications. Before joining Lynn University, she worked at WPBT-TV in Miami and was a teacher and librarian at YOUmedia Miami, a teen technology program at the Miami-Dade Public Library System. Mira Dougherty-Johnson has been a librarian for seventeen years, first in a university library, then a public one, and is now the school library media specialist at Southold Junior Senior High School on Long Island. Her passions are good books and strong communities, so she is most proud of her many collaborations with teens at Southold Free Library. She earned an MFA degree from Stony Brook University and is now working on a novel about art. 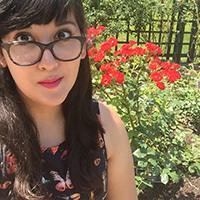 Ruby B. Hernandez teaches film and media studies at A.W. Dreyfoos School of the Arts, a public arts high school in West Palm Beach, Florida. She graduated from Wesleyan University with degrees in film and history and studied Egyptian cinema for a semester at the American University in Cairo. 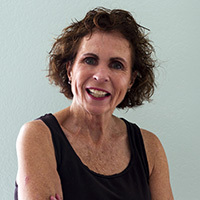 She is deeply committed to Florida storytelling and encourages her students to explore their social and cultural environments through thoughtful filmmaking. 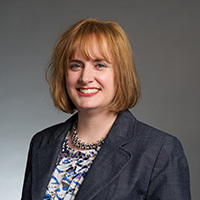 April Conley Kilinski is professor of English and literature at Johnson University in Knoxville, Tennessee. Her academic interests include Caribbean, African, African American, and immigrant literatures. 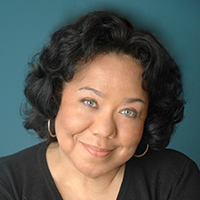 She has published articles on Richard Wright’s Uncle Tom’s Children and Judith Ortiz Cofer’s The Latin Deli and is a contributing author of The Use of Color in History, Politics, and Art. 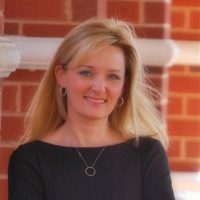 She recently published an edited collection with the University Press of North Georgia. Kathy Lancaster is the librarian/information specialist at Marathon High School in Marathon, Florida. 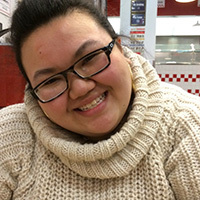 She is cofounder of Marathon Writes, a Keys-wide student writing competition. She holds a doctorate degree in educational leadership and her writing has received a Parents’ Choice Award. 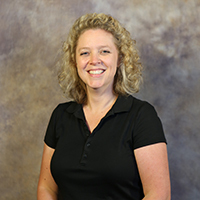 In addition to traditional library services, she is interested in developing community partnerships to bring enrichment programs and resources to students and teachers. 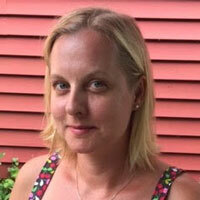 Amy Lantinga is an associate teaching professor at Northeastern University in Boston. She teaches in Foundation Year, a first-year program for underrepresented students that integrates rigorous academics with student support services within a cohort model. Her courses include communications, college English, college writing workshop, and Sociology of Death and Dying in America, always focusing on thematic-based curricula and experiential learning opportunities for her students. Jane Mellow has more than twenty-five years of teaching English in independent schools. Her interest in Caribbean literature was first sparked after spending three years in Puerto Rico as an adolescent. That interest has been kept alive during her thirteen years in South Florida and was reignited when she took a course with Jamaican author Patricia Powell at Middlebury Bread Loaf School of English in Vermont. 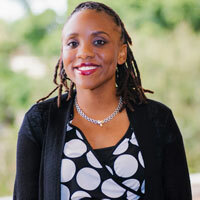 She is currently working to bring voices of the Caribbean into her classrooms. 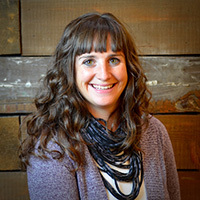 Alison Mohrbacher is a middle school English teacher from Seattle. She spends her summers running a local summer camp and has a great love for camping, the outdoors, and the Pacific Northwest. Alison loves to read, write, do lemming runs, and go to Sounders games. Kimarlee Nguyen was born and raised in Revere, Massachusetts. A full-time English teacher at the Brooklyn Latin School, she received her MFA degree in creative writing from Long Island University Brooklyn. She is a 2017 VONA/Voices fellow and has received grants from the Cullman Center Institute for Teachers and the Fine Arts Work Center in Provincetown. Her fiction has been nominated for a Pushcart Prize and has appeared in the Adroit Journal, Day One and PANK, among others. 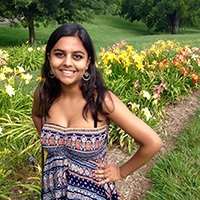 Tarika Sankar is a PhD student and graduate composition instructor in the English department at the University of Miami. 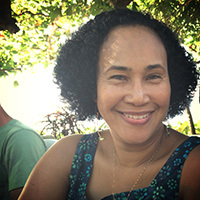 Her research and teaching interests include Caribbean literature, gender studies, Asian diasporas in the Caribbean, and critical university studies. Daria Sorhaindo lives and teaches on the island of Dominica. She is interested in West Indian literature because it allows her to see the lives of fellow West Indians retold through twists of imagination. Through this she gains new perspectives into the formation and perpetuation of West Indian identities and how their lives impact global communities. 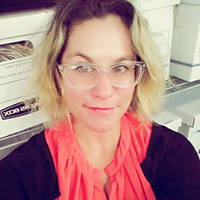 Breana Sowers is the Florida history archivist for Monroe County Libraries in Key West, Florida. Originally from Indiana, she has worked within the museum, library, cultural resource, and education fields for more than twenty years. Her experiences come from formal study, personal fieldwork in local communities, and informal museum education. Her research interests include Caribbean genealogy, local nineteenth century scrapbooks/family letters, and preservation outreach. Laura Villareal teaches at Incarnate Word High School, an all-girls college preparatory school in San Antonio. She earned an MFA degree from Rutgers University, and her writing has appeared in various literary journals. She has work forthcoming in A Portrait in Blues, an anthology published by Platypus Press. Audrey Wick is a full-time professor of English at Blinn College in Texas. She believes the secret to happiness includes lifelong learning and good stories … but coffee and travel help. Congratulations to everyone! Can’t wait to meet you all in January! Congratulations to Amy Clark. So proud of you and your accomplishments. Life is good! A diversity of life thrives in the littoral zone — a thin strip of coastline between high and low watermarks. As the operating metaphor for our online journal, it refers to that part of Key West routinely overrun by the tide of literature and to the rich life of letters in this island city. Here you’ll find event coverage from our team of writers and photographers; news and updates about upcoming opportunities; and rare images from historic collections, interviews, and all manner of report from Key West’s life of letters.